Each year, J.D. 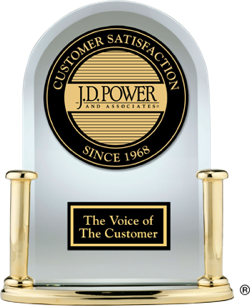 Power recognizes the highest-ranked overall brands in both customer service and sales satisfaction. In 2009, Lexus ranked highest in customer service while Jaguar was the highest-ranked brand in sales satisfaction. Jaguar led the luxury pack for sales satisfaction in 2009, topping the list of luxury brands. Mercury led the mass-market pack for sales satisfaction in 2009, topping the list of non-luxury brands. Typically more affordable and fuel-efficient than larger vehicles, these 2009 small cars and SUVs were top-ranked for terms of customer satisfaction with the sales experience and dealer service according to J.D. Power research. Dealership Service Experience ratings and awards are not available for 2009.